03-19 12:47:00.778 W /Certs:1636:2e0/ Certificate disposition: 2 (Denied by Policy Module  0x80094800, The request was for a certificate template that is not supported by the Active Directory Certificate Services policy: 1.3.6.1.4.1.311.21.8.4096056.6922736.16203944.9327477.15479116.66.4539576.10877880(PMM CM Proxy Certificate). Certificate template was not issued for Macs. 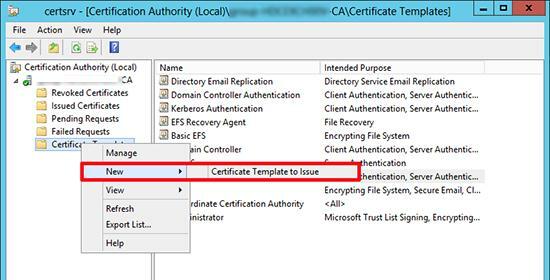 In the Certification Authority window, right-click Certificate Templates and click New > Certificate Template to Issue. The error 'Denied by Policy Module 0x80094800' is internal Windows Server error. You may also follow the link to official Microsoft resources: "Denied by Policy Module 0x80094800"